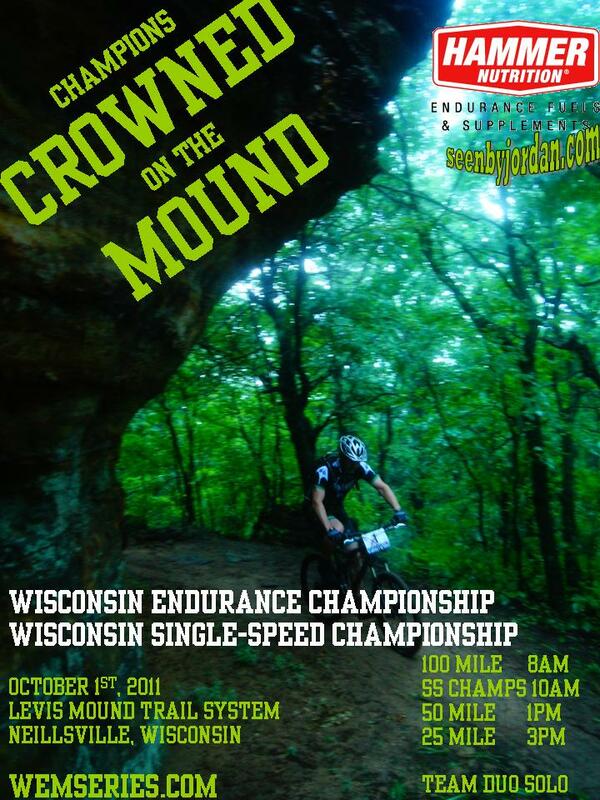 On October 1, 2011, Levis/Trow will host two combined events, the Wisconsin Endurance Series Championship race and the Wisconsin Singlespeed Championship race. Both events are open to all riders (series and non-series). The Wisconsin Singlespeed Championship will feature a longer course of around 62 miles. The longer distance was requested by the one and only Jesse Lalonde who can’t wait to reclaim the title. The Championship races are Open to All Racers and All Series Racers that have completed 4 or more races will recieve Double Points for the Championship Race. Again, for Series Racers, your best 5 race results will be tabulated. All racers excedeing 5 races will be recieve 3 pts for each additional race. The First 100 Racers will receive a commemorative WEMS 26oz Aluminum Water Bottle. This entry was posted in Uncategorized and tagged Levis Trow, Levis Trow Mound, Levis/Trow Mound, WEMS, WEMS Championships, WEMSeries, Wisconsin Endurance Mountain Bike Series, Wisconsin Singlespeed Championships. Bookmark the permalink. Any word on a map for the SS Champs? The course will be very close to the 2010 Levis/Trow 100.